Respond to consumer needs: First, give your customers an easy way to tell you what they are interested in, and then bundle related products together. If you can anticipate which products and services your customers will be most likely to buy, you’ll increase the program’s success. Incorporate a database program into your system: A database can help you to respond to customer needs that aren’t immediate, allowing you to send timely marketing materials to encourage a sale. Showcase your product and services: All mailing and email marketing campaigns need to showcase your company’s specific product and services to educate your customers and keep you in the top of their mind. Include relevant discounts: Consider how to most effectively include discounts, whether it’s a percent-off discount or a waived fee on a specific product or service. Continuity Program’s cross-selling program is uniquely designed and proven to generate revenue growth through communicating with existing clients. We’ll work with your design and marketing departments, or you can use our designers, to develop a customized program that meets the four criteria above. Tailor materials to a specific target group. Implement customer satisfaction surveys to discover future and related needs. Customize materials with your designs, photos, colors, logo, tag line and other branding to ensure continuity across marketing materials. Include a response form, online or postage-paid, with every touch point to encourage responses. Design your offerings to include targeted discounts or trials. Access an easy-to-use, industry-leading database program to set up programs that run from one to seven years, and include the marketing touch points that will help you reach your goals. Contact Continuity Programs for more information about our proven cross-selling programs. Our comprehensive marketing programs are customizable to your company’s needs. 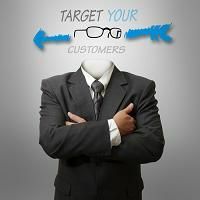 We will personalize all touch points in each salesperson’s name and effectively build your business’ brand.